Ch. Diego Da Maya BIS-2 at Eurodogshow!!! Diego winning the group under Mrs Lisbeth Mach from Switzerland!! WOW! It was fantastic! Diego won the breed under Mr Zeljko Gajic from Slovenia and Mrs Lisbeth Mach did the group and finally Mrs Marija Kavcic did the BIS. Niklas won the BIS with is famous Saluki Harvey!! It was show! Diego loves this and I love to show Diego! Diego followed the BIS judge with his look all the time she watched her and he moved so well, even if he was very very tired. It was a long day yesterday. We were at the Specialty show but I didnt show Diego. Chris and Ami were shown and they both got the CAC. Chris also got Best Junior Poodle! Well done. Chris sister Brazil also won her class and got CAC. 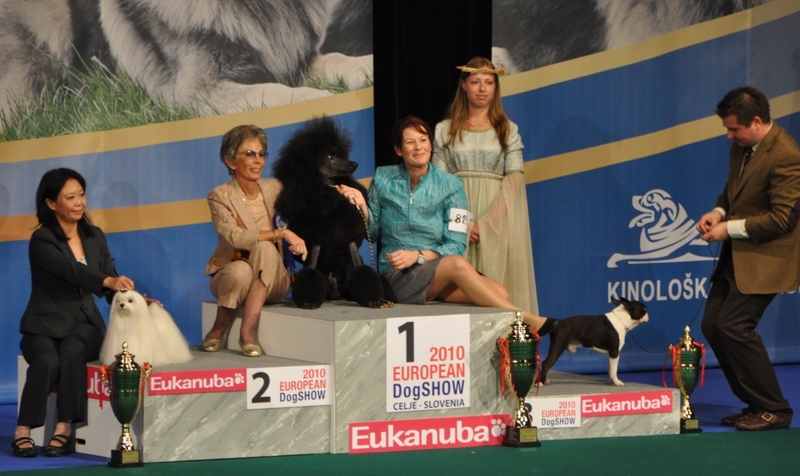 On the Eurodogshow Chris was BOS Junior to Rosalbas other Diego daughter she has who was BOB Junior. 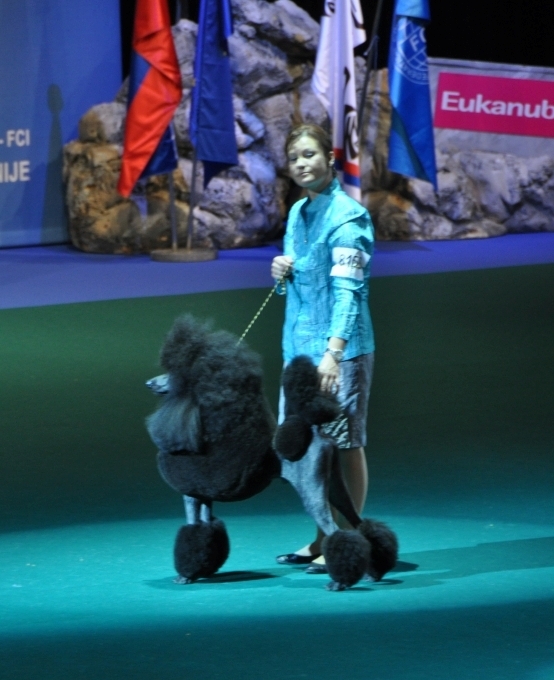 BOS in Standard Poodles were Ch. Smart Connection Maxima, the Russian Max daughter. It was a great show. You have to watch Diego on the video link in the BIS final! It was 10 000 dogs at the show and 5000 at the Specialty shows. Thanks to all the judges and the supporters around the ring! This was a fun show for us!